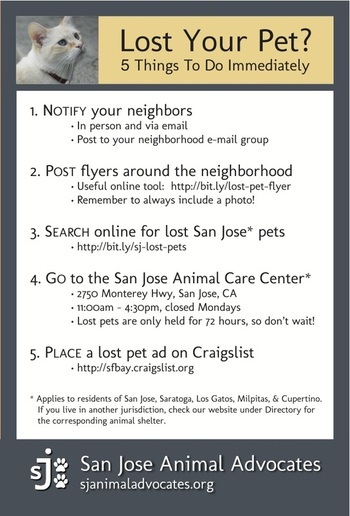 Wonder what you should do if you lose your pet? Refer to SJAA's Lost Pet Mini Guide, and take action asap! 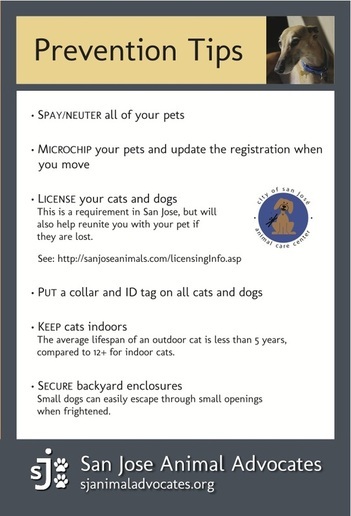 To help prevent your pet from getting lost in the first place, please review our prevention tips and share these with your friends and neighbors. Would you like to distribute these cards at an event? Contact us.